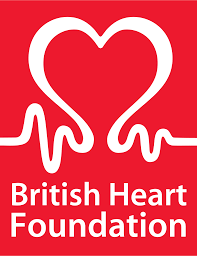 Our Strategy The British Heart Foundation (BHF) is the nation’s heart charity. Our work in the years ahead will save thousands more lives. But if we are to succeed in beating heart disease, it’s vital that everyone is aware of our objectives – and how we are working to achieve them. Our mission is… …to play a leading role in the fight against disease of the heart and circulation so that it is no longer a major cause of disability and premature death. Our vision is … …of a world in which people do not die prematurely of heart disease. We’ll achieve this through pioneering research, vital prevention activity and ensuring quality care and support for everyone living with heart disease. Pioneer research into the causes of heart disease and improved methods of prevention, diagnosis and treatment We will do this by: focusing our research funding effectively, identifying new areas of relevant science attracting the best researchers in the UK, and from abroad providing them with the funding, equipment and facilities to achieve the best results, concentrating funding on centres of excellence, providing vital information to help people reduce their own heart health risk. Help to attain the highest possible standards of care and support for heart patients. We will do this by: equipping patients and carers to maximise patient heart health and quality of life increasing resuscitation capacity, to help maximise heart attack survival responding to, and representing, the needs of patients and carers, helping patients and carers to be effective in developing heart health services investing in health care professionals to improve heart patients’ quality of life, helping develop other organisations to build capacity in prevention and care promoting better training and accreditation for heart health care professionals, training and supporting more specialist BHF heart nurses. Our shops want to raise a huge £500,000 for the Help a Heart campaign and you can really help us make a difference. We’ll achieve this through pioneering research, vital prevention activity and ensuring quality care and support for everyone living with heart disease.